2.8 made big changes. I’m fine with them. Looks good. But the changes were so different they set off my phobia again. I love iterations. I love it like people love baby seals. 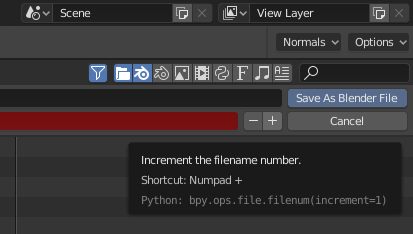 I have this irrational fear every time Blender changes that some day Blend-devs will remove something I hold dear because no one else found it worthy. I don’t know of anyone else who uses iterations. I’d simply loose it without them. They are integral to my work. Yeah they are still there I KNOW. Irrational phobias don’t respond to rational. So plz nvr get rid of iterations tho I might be the only one in the known universe using it. Religiously. I’m using it too, and I don’t see why it could be remove, unless there is a faster or simpler way to do it ! Actually, this is an archaic way of doing this. 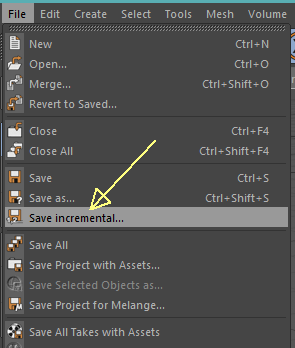 Other apps they have a “Save Incremental” feature right there in the File menu that does that automatically in one click. No extra dialogs or popups. and I broke your bones 10 times during the time that you go with the cursor to look for the menu and get to the writing of the save increment and then click.